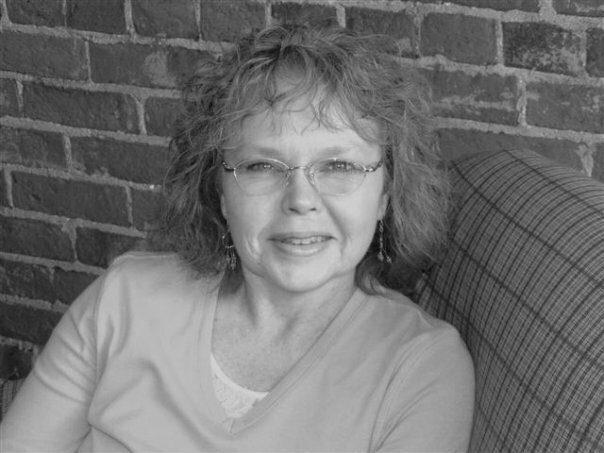 Marianne Worthington: What are your personal thoughts about the labels “memoir,” “autobiography” and “oral history” and how are they fenced off from each other? How are they connected? 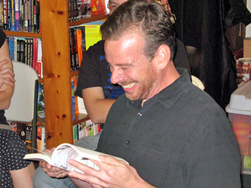 Author Ben Whitmer co-authored "Satan Is Real" with Charlie Louvin. He also wrote the novel "Pike." usually a record of somebody’s entire life, whereas a memoir or oral history is a record of an event or series of events as recorded by somebody who was there. Also, and this may be just me, but with memoir and autobiography I anticipate a certain amount of artistry. The classic example, I think, is The Autobiography of Benjamin Franklin, in which Franklin very carefully crafts this image of himself as a completely self-created man, right from the minute he arrives in Philadelphia, dirty from the journey, with his socks in his pockets, and buys three-penny worth of bread. With an oral history, on the other hand, I expect more of a straight transcription. MW: What are your personal thoughts about where Satan Is Real might rest within those categories? BW: I think it’s very much a memoir. This is not meant to be Charlie’s complete life. I mean, there’s some stuff about his solo career that we roll through pretty quickly, but this is a memoir of his time with Ira. MW: How would you label the role you played in bringing this book out to the world? Ghostwriter? Editor? Counselor? None of the above? For instance, I’m struck how the Air-Cooled Franklin and the Grand Ole Opry remain constant as themes throughout the narrative. Did you have a hand in that kind of work with the book? What else? BW: Well, hopefully Charlie and I did our work so that certain themes that run through his life get drawn out. If we didn’t, I don’t think it’s very much of a book. The way we worked together was also very conducive to that process, in that he told me at the beginning I couldn’t turn on a tape recorder and expect him to reel off his life’s story, that he would need me to ask him questions. And, of course, by asking one question, I’d usually arrive at six or ten more, and in that way we would kind of unravel these themes together. Of course, Charlie had told portions of this story many times, including the Air-Cooled Franklin and Grand Ole Opry portions, and he was very aware of what they meant to his life’s story. I think just the fact that he remembered the exact make of that automobile, that it was an Air-Cooled Franklin, speaks to that. We worked those out together, and in a way it was a little like counseling, in that we couldn’t really let anything drop, even the very painful stuff. MW: What kinds of techniques did you use to encourage Charlie Louvin to talk? Was he ever reluctant? BW: Charlie really wanted to talk, so it was never much of an ordeal to get him to open up, even about the painful stuff. But we were talking about things that happened between 40 and 80 years ago, so the main thing was jogging his memory – especially given how sick he was. The only technique I really arrived at was to work through each of the stories multiple times, recording them all. That way I’d end up with details and perspectives in one version of the story that might have been missed in another. Each of the stories in the book is kind of a compilation of several tellings that I transcribed and wove together. That was the only way I could figure out to do it, but I know I must’ve drove him nuts asking him the same questions over and over. There’s a smarter way, I’m sure, but I couldn’t figure it out. MW: Could you comment on the process you used to piece the book together? Readers might be curious about the skills you called upon as a novelist, if any? BW: I think – or maybe hope – that what I brought to the table as a novelist was an asset to the project. I’m not a music historian and didn’t have much interest in approaching the book that way. I do love country music, but I didn’t want the book to read like extended liner notes. Nor did I want to write some kind of sociological essay. Most everything I’m interested in begins in character, and it seemed to me that the core of the book was going to be Charlie’s unique voice. I took it as my job to hone that to the best of my ability. The narrative structure of the book – at least that which I controlled, in that I had a lot of input from my editor – came from a desire to pick and choose things that revealed something about Charlie and gave his voice room to really fill space, if that makes sense. 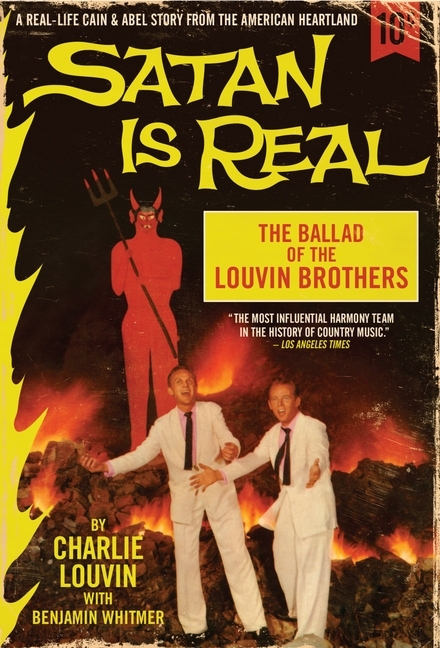 The cover of "Satan Is Real" was based on the Louvin Brothers' album of the same name and pulp fiction cover art of the era. MW: Is there a lot of material that didn’t make it into the book? If so, do you have plans for those stories? BW: There’s a lot, for sure. I recorded far more material than I could ever use. I could have written an entire book on his childhood, for example. There were also a bunch of stories that he asked me to leave out. Now and then he’d say, “Say, Ben, does that recorder have an off button?” and he’d tell me one off the record. I’ll never repeat those, of course. MW: Besides visiting Ira Louvin’s grave with Charlie, what is another memorable moment for you during this process? BW: There were a bunch them. Probably the most memorable moment, and by far the saddest, was when he told me that the doctors told him that there was nothing left to do, that he was not going to survive the cancer. The grace he displayed upon facing that news was just amazing. Heartbreaking and amazing. MW: Charlie Louvin often refers to himself as a “hillbilly” in Satan Is Real. How do you think Charlie would define that label? BW: I always get nervous making too many guesses as to what Charlie was thinking, but I took it as a reminder of his Sand Mountain roots. He worried about being presented as a caricature. It’d been done to him before, and he didn’t like it. But at the same time, he was very aware of the roots of his music, that it came from those songs that his Mama sang and that he learned at the Sacred Harp church, and that it was this way of communicating back down the generations. He was scared that way of living and singing was being lost, too, though he did see some hope, in that there were new young faces at the Sacred Harp reunion every year. Marianne Worthington first heard Emmylou Harris’ “If I Could Only Win Your Love” played on a Knoxville radio station while traveling in a car with her father, circa 1975, who asked, “Who’s singing that old Louvin Brothers song?” With the help of her father, a few good country music encyclopedias and the music of Emmylou Harris, she pieced together a Louvin Brothers history all her own. In the early 1990s she paid a whole lot of money for the 8-CD box set of The Louvin Brothers from Bear Family Records that contained Charles Wolfe’s admirable booklet of liner notes (later published in book form as In Close Harmony: The Story of the Louvin Brothers.) Her life has never been the same. Nice interview, Marianne, and a really entertaining chunk of bio at the end. Those Bear Family sets will nail you every time. I still haven’t recovered from the 12 CD Carter Family set.